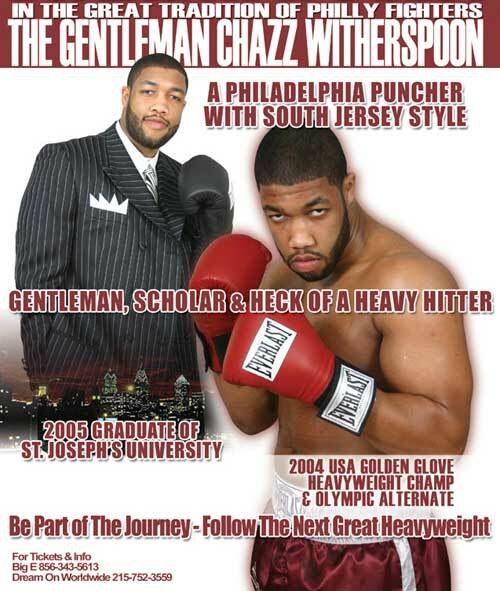 Amongst the gloom of the American heavyweight boxing scene, Chazz Witherspoon is a rare ray of sunshine. Big, powerful and with improving technique the likeable, affable often softly spoken cousin of Terrible Tim Witherspoon – that famous underachiever from the 1980’s – could prove to be the closest thing America has to a young, dominant heavyweight. Predecessors like Lamon Brewster, Dominic Guinn and before them Michael Grant have failed to live up to their billing over a consistent period of time and long-time ‘prospects’ like Leo Nolan, Tony Thompson, Monte Barrett and Jameel McCline have all failed to make a breakthrough too. The scene is set for someone to emerge to galvanise American fans behind one fighter, the hyper-talented Floyd Mayweather lacks the charisma for the task and America will never adopt the Klitschko’s or Sam Peter as they would a homegrown talent. And everyone loves a heavyweight. Though happy to observe the arrival of a host of capable European heavyweights; Klitschko, Lyakhovich, Maskaev et al I’m aware the sport needs a competitive, entertaining and engaging heavyweight from the land of the cheeseburger and super-sized coke to help wrest the initiative back from UFC and its associated combat sports. Perhaps the busy, polite and lucid Witherspoon can fill that void. He was first noted to me at ringside, at the Haye versus Thompson clash, by a someone associated with him here in England – prior to his professional debut. Commenting that he was well balanced, possessed power, an eagerness for improvement and a telling right hand. Much like Tim’s. I’m looking forward to seeing him forge a path toward contendership in 2007-08. Keep an eye out for him.